Despite the circumstances (Hurricane Sandy), it is really nice to have my husband home. We got to sleep in and best of all, we got to have a nice leisurely breakfast while watching the new reports. 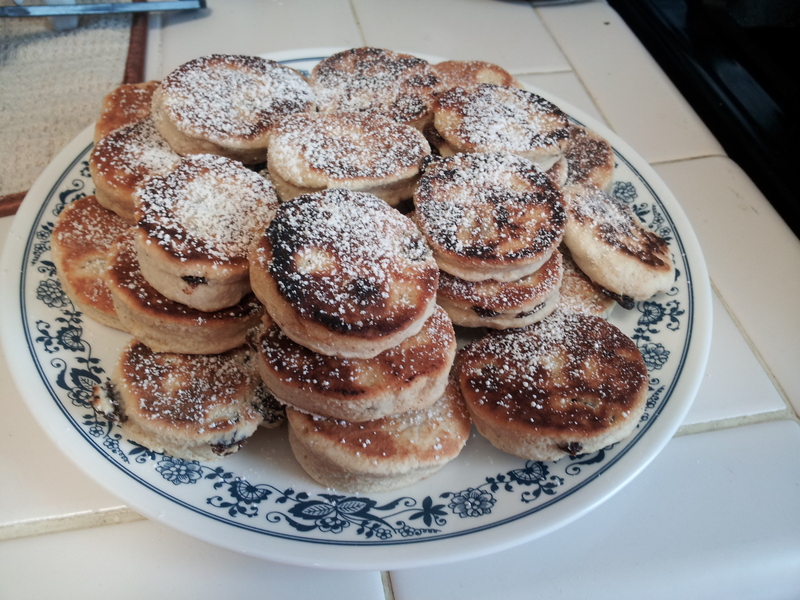 I have been wanting to try making Welsh cakes for a while now and this morning was a perfect opportunity. The recipe is fast, goes great with coffee/tea/milk and doesn’t require many pre-coffee brain cells. Hope you enjoy it as much as we do! In a food processor or large bowl, combine flour, sugar, baking powder, salt, cinnamon and nutmeg. Add butter and pulse food processor (or use knives) to cut butter in to tiny pieces. Your mixture should look like sand. Add milk and enough milk to make a soft dough. On a well floured surface, roll out dough and using a 2 1/2 inch cookie cutter (or drinking glass) cut out circles. Keep cutting out circles until you use up all the dough. Heat a griddle (or large frying pan) to medium hot. Lightly grease griddle/pan with butter. Place circles of dough on pan and cook until light brown, each cake (about 3 minutes per side). The center should be soft. 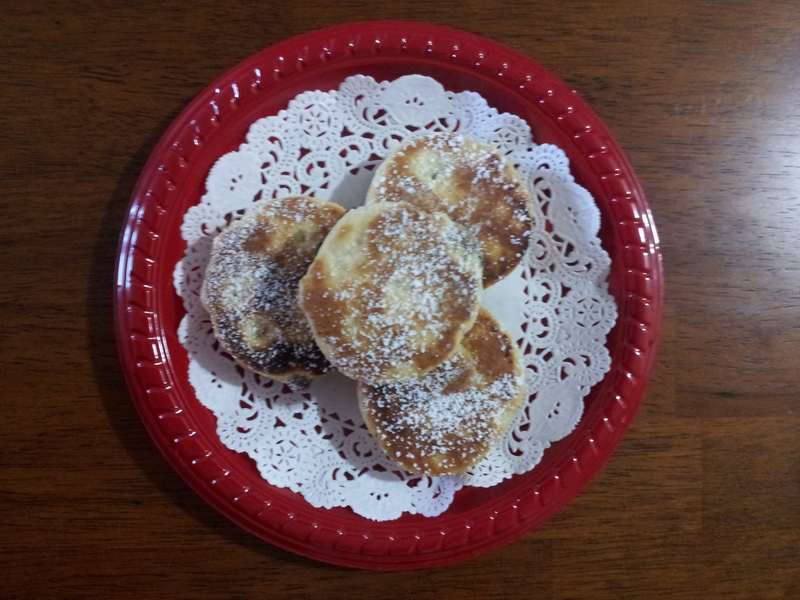 Dust cooked cakes with powdered sugar.